In a DVS, your turntables no longer play music recorded on regular records. Instead, they reproduce computer signal from special timecode vinyl, the sole purpose of which is to tell the DVS software the exact location of the needle at any given moment. The turntables are connected to a DVS audio interface, whose job is to decode the timecode signal in realtime and feed it to the computer. The audio interface also provides audio outputs corresponding to the virtual decks in the DVS software, which you connect to your analog mixer. The software tracks the position of the turntable needles at any given moment and moves the MP3 playheads accordingly, letting you scratch, backcue and mix MP3s as though they were vinyl. Modern DVS systems such as Serato let you DJ with vinyl turntables or CD players, as well as play regular records or CDs on your decks alongside the MP3s. 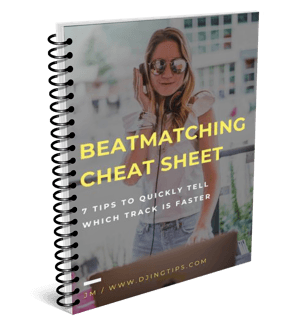 In the end of the day, however, you still DJ using your regular decks and mixer, so you won't avoid touching your laptop for accessing advanced digital features such as looping, samples or effects. DVS is a pretty expensive option since you need to have a classic vinyl or CD setup, plus a laptop and a DVS on top of it. As such, it works best if you already have vinyl or CD decks and a mixer, and are looking to get your feet wet with digital DJing. DVS is also a logical choice for turntablists that enables them to scratch MP3s. DJ controllers are another way to efficiently control DJ software and mix MP3s on a computer or laptop. Instead of repurposing a classic DJ setup for this like DVS does, a controller simply provides you with the physical buttons, faders, knobs and jog wheels to control the virtual ones in the software. In that sense, a DJ controller is conceptually not so much different from a computer mouse or keyboard. When you press a button or rotate a jog wheel on the controller, it sends the information about your actions to the DJ software, which acts upon it accordingly. In addition to that, modern controllers also have a built-in audio interface, neatly addressing the need to have a 2nd audio output in software setups. Controllers are uniquely fit for digital DJing. In addition to the standard controls found on classic CD/digital decks, many controllers have buttons and knobs for accessing cue points, sampling, looping and controlling the FX. Controllers are compact, affordable and powerful and are the easiest way to turn your laptop into a fully functional DJ setup. With music in MP3 format pushing out CDs in mid-2000s, it was only a question of time before the ability to play MP3s was added to standalone digital decks in the "2 decks and a mixer" classic setup. Pioneer CDJ-2000, a direct successor to the CDJ-1000MK3, added the ability to play MP3s from thumb drives, as well as a big LCD screen with waveforms and other useful info. 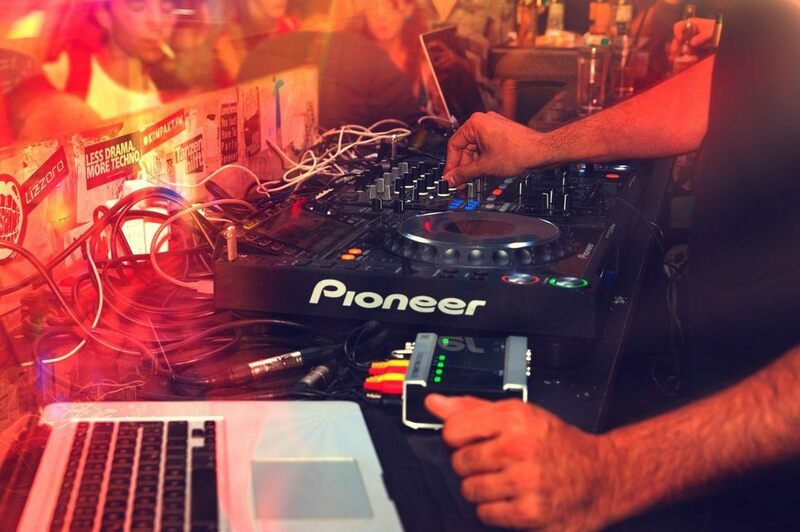 Modern digital decks from Pioneer and other brands, such as Pioneer CDJ-2000NXS2, are media powerhouses that let you DJ with music from CDs, thumb drives or SD cards, to name just a few choices. They are typically tightly integrated with special DJ software like Pioneer's Rekordbox that lets you set and edit your cue points, loops and more. Finally, modern digital decks are able to function in "HID mode", letting you control DJ software directly without the need for timecode CDs. The CDJ-2000NXS2 are the kind of industry-standard decks used by the pros that you'll find in the world's best clubs. The only downside of today's state-of-the-art digital decks is their price. This is easily the most expensive kind of DJ setup available, and, in my opinion, it would be a massive overkill for a beginner DJ. Which Setup Is for You? This concludes my overview of the typical DJ setups out there. If you are still agonizing over which setup to get, here is a quick summary to hopefully make your choice easier. If you insist that vinyl DJing is the only kind of "real" DJing there is, then, by all means, go vinyl. Just be warned that the equipment and the records are expensive, and you'll be missing out on a lot of fun stuff that digital DJs can do with their gear. That said, vinyl (potentially upgradeable to a DVS) is pretty much the only option if you're looking to do any serious scratching. If you already have a vinyl or CD setup and want to try digital DJing, consider getting a DVS. It's a quick and easy way to let you DJ with MP3s on your computer using the familiar gear. Besides, you will be able to play regular records and CDs alongside the MP3s. If money is no object, go with a modern digital deck setup. It will last you for years and will get you familiar with the kind of gear they have in top DJ booths worldwide. 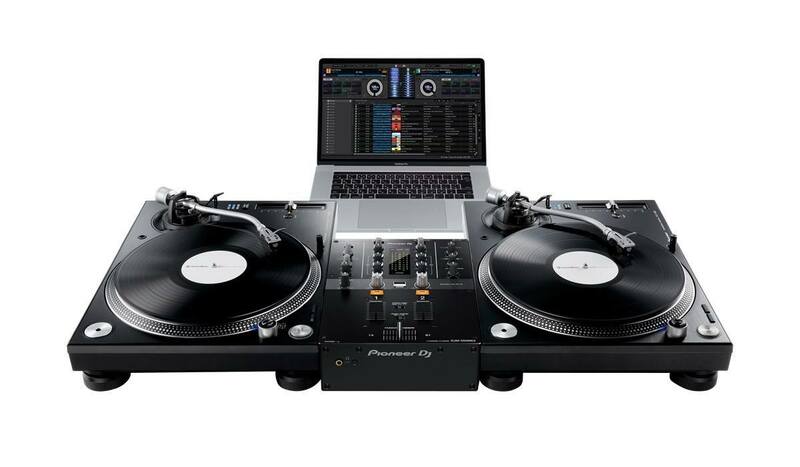 If you don't have a decent laptop and want your gear to be reasonably close to what the professionals use, consider getting a used CD setup with a pair of pro Pioneer decks like the CDJ-1000MK3. If none of the above applies (which I reckon is true for the majority of beginner DJs out there), get yourself a DJ controller. It's a modern, affordable way to DJ that you can stick to or use as a springboard to other kinds of setups in the future. What's your DJ setup? What do you like and not like about it? Share your thoughts in the comments below!